This standard pump is portable and submersible. Excellent for manholes, vaults, construction sites, residential, commercial, industrial waste water and construction site drainage, and effluent transfer. The impeller is semi-vortex, urethane rubber with ethylene propylene rubber casing that increases wear resistance. For increased safety, this pump includes a built-in thermal and amperage sensor which prevents failure due to overloading or accidental run-dry conditions. Offers top discharge with its flow-through design with solids handling capability. 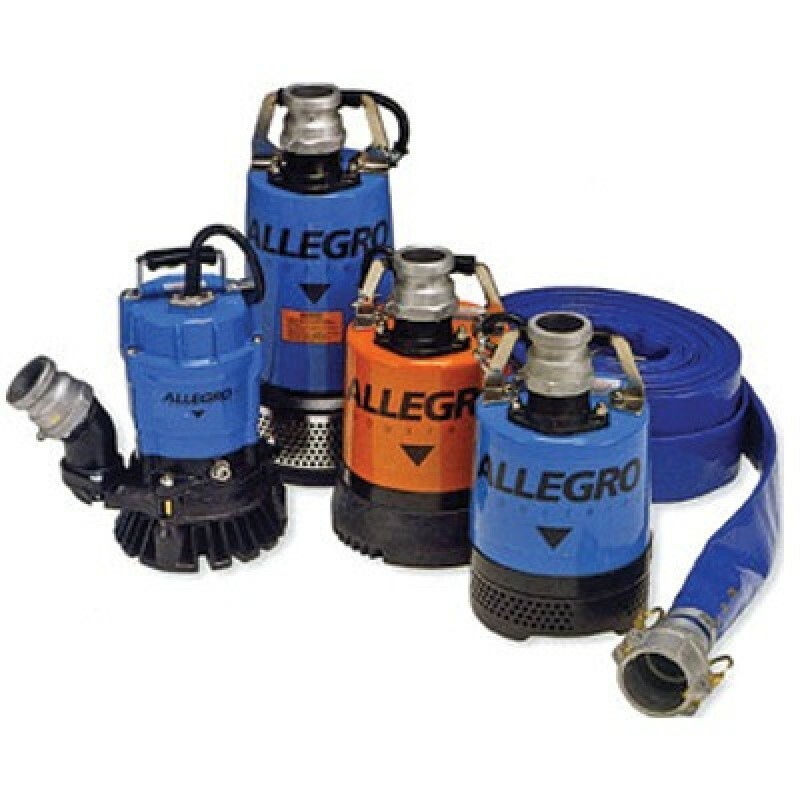 Also features hose-style quick connect fittings, and a V-ring system to protect the shaft seal from abrasives. Motor is continuously filled with air and is copper wound with class B insulation.